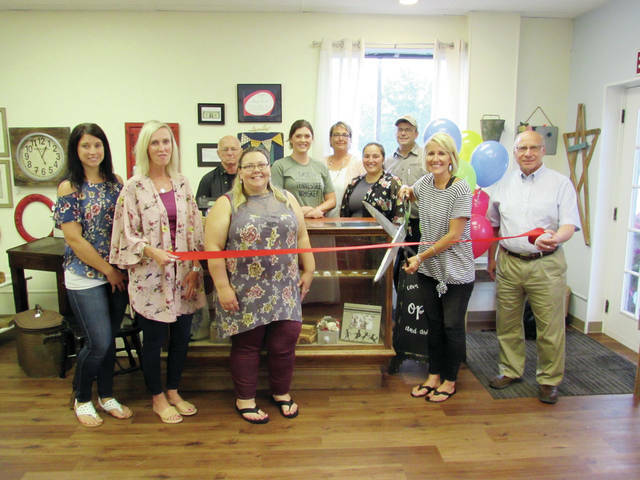 Owner Jenny Vonier cuts the ribbon at the grand opening of her downtown Wauseon shop, Junk & Disorderly, surrounded by her vendors and Chamber of Commerce members. Located at 245 N. Fulton St., the store features an eclectic assortment of merchandise, including hand-carved wood items, clothing, baby items, antiques, and refinished items. Hours are Thursday and Friday, 5-8 p.m., Saturday, 10 a.m.-1 p.m.